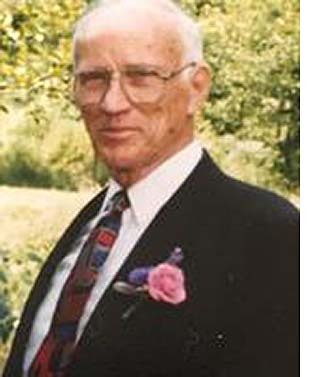 Charles Loyd Martin, 81, a longtime resident of Guemes Island Washington, passed on Saturday, January 12th, 2019. On a calm sunny day, Chuck passed quickly and without pain once it was clear his life would not be as he wished. He was born November 11, 1937 in Dodge City Kansas to Henry Myrl Martin and Ruth Sipple. Chuck was preceded by his wife of 34 years, Joanne. He is survived by Sons Greg Martin and Jeff Martin (JoEl); Step Daughters Kim Grinnell (Curtis), Jamie Baxter (Kris), and Jodi Voy: Grandchildren Sydney Martin, Jordan Baxter, Zak Grinnell, Hannah Martin, Blake Moghaddas, Mackenzie Grinnell, Maxwell Martin, Adam Martin, Payten Pillsbury, Addyson Pillsbury, and Emery Pillsbury. Chuck graduated from Dodge City High in 1956, as a standout football player at center lineman. He attended Southwestern College in Winfield, Kansas attaining a B.S. degree in 1960. He completed his education at the University of Wisconsin - Madison with a Master of Science in Education in 1962. Chuck taught History, soon to become Principal, at Stoughton High School in south-central Wisconsin. He moved to the west coast in 1980 as principal of Lake Washington High School in Kirkland, Washington. Chuck married Joanne, his beloved “Jo” on March 26, 1982. They lived devoted and happy together for the rest of their lives. Jo passed in August of 2016. An active leader in his profession, Chuck spent that part of his life running a high school -- events, sports, the arts, countless graduations. Then later the human resources of a large district. He retired in 2004, moving full time with Jo to Guemes Island Washington. 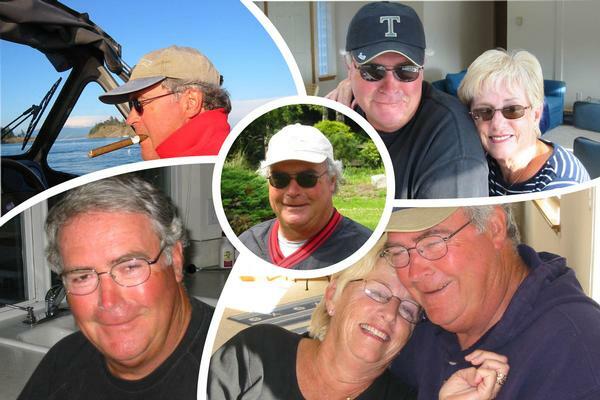 He spent his retirement years traveling the world with Jo, crabbing with longtime friends, and entertaining at his island home. A lifetime wood worker, Chuck left an amazing collection of tools and half-finished projects! The last few months of his life were spent at Chandler’s Square retirement community in Anacortes, Washington. He spent that time becoming part of a new community. Charming them, as he did everyone, and embracing the next stage of his life. Bye Dad! Not bad for a boy from Kansas.